I think I will be on the treadmill more often than not now that winter is really here. I thought we would escape the actual winter (why did I think that?!) but the colder temps are here and I’m sure the snow is next. The treadmill is an interesting experience. I definitely do not hate it but I can’t always get a great run accomplished, especially when running indoors is the only option for days on end rather than a mix of outdoor and indoor. It’s like I either thrive with the treadmill or want nothing to do with it. Luckily I don’t run as many miles as I did so that the battle of the treadmill isn’t as major as its been in the past. I started with the treadmill but knew within one minute that today was not a treadmill day for me. So, I hopped off and chose the elliptical instead. I can usually tell when I can push beyond those first few minutes to find my groove and when there’s no hope for a quality workout. Today was a no hope day and I wasn’t in the mood to drag on the treadmill for 30 minutes. Before leaving the gym, I did a few rounds of squats and lunges. I chose a Pure Barre legacy DVD workout which is uploaded to the Pure Barre On Demand Platform. I mentioned this workout in Friday’s post. I still don’t know how I made it 5 miles when I was telling myself to stop at 15 minutes but I’m glad I had it in me to continue. 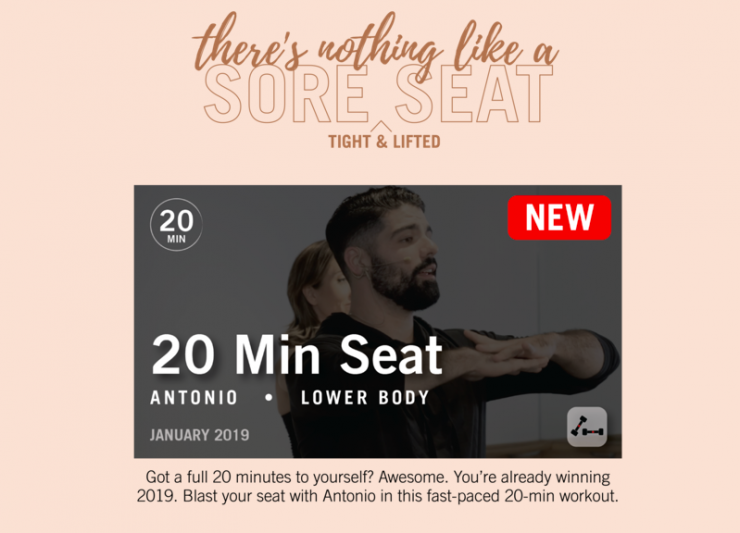 Last night I received a Pure Barre email alerting me to new 20 minute workouts so I wanted to give it a try. I stopped at my gym for the elliptical after taking my son to school and then came home for the 20 minute seat focused workout. I liked it! I chose to run this workout today instead of tomorrow for two reasons. First, I knew I was getting my period tomorrow and I also had the painters coming to my house first thing in the morning which meant I would be limited on my run time. Today just made more sense! 20 minutes easy + 30 minutes effort ranging 7.5 – 8.2 + one mile cool down to hit 7 miles. Great workout! I had 30 minutes for a workout today and decided I wanted to do an inline walk on the treadmill. Trust me when I say, incline walking is a workout! I ranged the incline between 7.0 – 13.0 with my speed between 3.8 – 4.2. (I’m not a fast walker). My form starts to suffer above 12.0 so I didn’t stay at 12 or 13 too long or too often. This was a nice alternative to the elliptical machine when I don’t want to run but I want a cardio workout. My heart was pounding and I definitely couldn’t talk on the phone unless I were to drop the incline –that’s really how I know I’m working hard! I can talk during an easy run, not during an incline walk on the treadmill. I think I will try this Pure Barre workout. I don’t believe I’ve tried it yet? There are so many available, I’m starting to get confused. 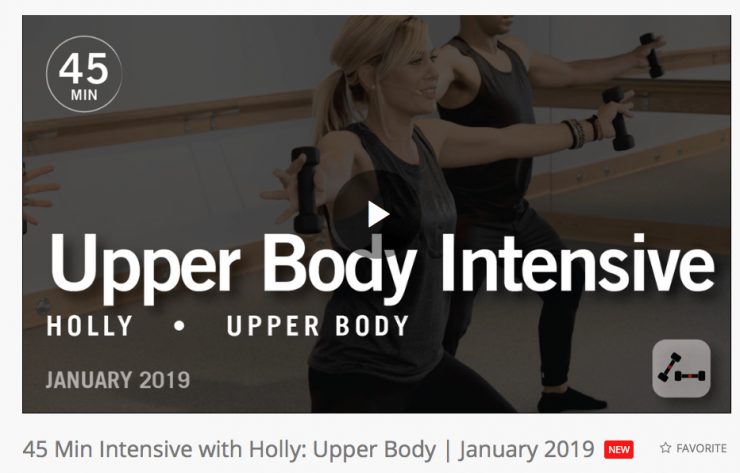 It looks like I can “favorite” the workouts I like which may be something I start to do now that there are even more options than ever before. 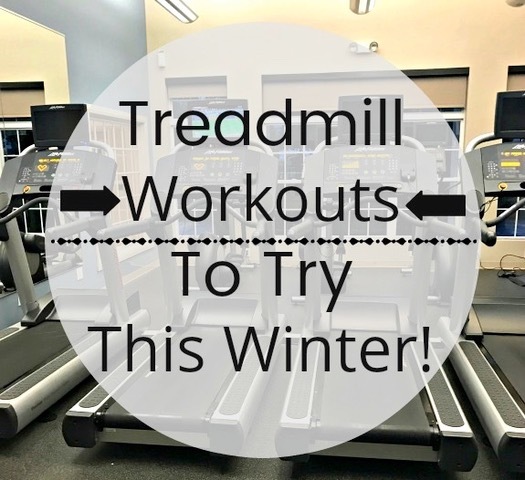 Is it the treadmill time of year for you too? What’s your cut off temperature for running outdoors in the winter? Yes it’s treadmill time for sure! For the past two weeks I’ve been doing the Strava Lululemon 40/80 challenge which is all outdoor running. 51 miles later I’m glad I did it and I’m very excited about getting to go back to the treadmill now that it’s over. I am in Tn and will only run outside when 55 or better. I joined the Y which is practically next door to my office. I am pleased that they have these fancy treadmills where you can pick trials like the Alps and run. I really enjoy the runs and the interesting tidbits the program gives on the area.